In one video posted on Twitter, stunned bystanders declare “ce n’est pas normal” as they watch the scrum. While we love the hazelnut spread as much as the next person, we hopefully would not hit an elderly woman in the head to get it, even if we got caught up in the crazed crowd mentality. 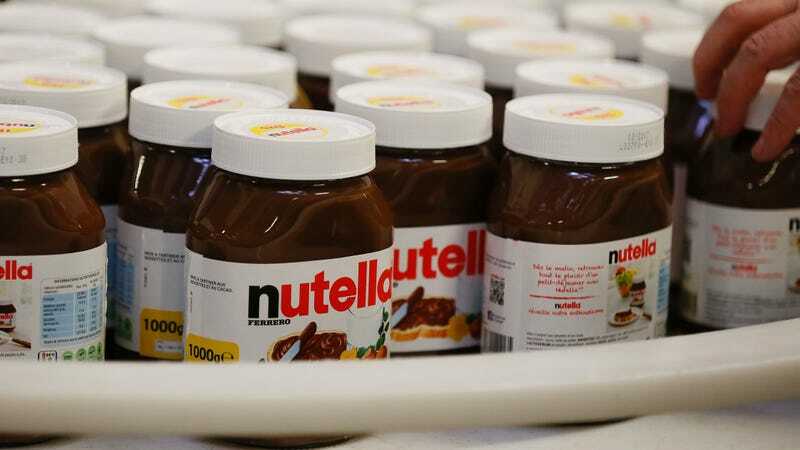 In the rioting French people’s defense, that is a considerable price reduction, and it’s not like Nutella is about to go bad any time soon, so stocking up makes sense. Besides, the French have precedent: Will these Nutella riots go down in history like the 1775 Flour Riot before the French Revolution? Or at least, in the Twitter archives, along with a lot of “spread” jokes?